Do you have an Abergavenny news story or blog you would like to share? Please use the form at the bottom of this page to make a submission, or email your blog or news story to info@abergavennynow.com with the subject heading 'blog' or 'news story'. We always welcome submissions to our website, however, we cannot guarantee that all will be published to the Abergavenny Now website. By filling in the form below or email us you are accepting that Abergavenny Now may publish your blog or news story. All blogs or articles will include a personal bio and author image, unless you choose otherwise, in which case the blog or news article will be listed under the author 'guest post'. Your personal details will only be published if you choose to attribute them to the blog or news story. *Please note that this is not a platform for advertising a business or organisation, if you are interested in advertising please visit our advertising page. Every blog or news story requires one non-stretched landscape image that is can be used as a featured image. Please submit a non-copyrighted image that you would like to use here. 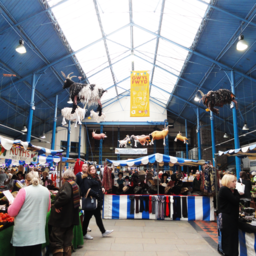 Previous ArticleWhat we know about the Abergavenny Food Festival so far, and where to get tickets!